Tip: Using Chicago Restaurant Week for Your Wedding — Sweetchic Events, Inc.
437 Rush offers private dining areas for showers, large events and wedding rehearsal dinners (from 25-300 guests), and with four restaurants and Navy Pier cuisine under their belt, the Phil Stefani group also has a grip on the Chicago wedding catering industry. During Chicago Restaurant Week, 437 Rush has a prix fixe menu ranging from filet mignon and short ribs to lasagna and chicken. Did we mention the Clintons are regulars? 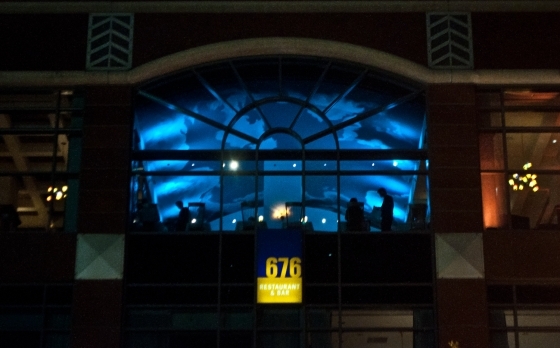 We first considered 676 Restaurant & Bar in the Omni Hotel as we compiled a list of rehearsal dinner options for a client, but it was the menu and local approach to dining that intrigued us—and piqued our appetites. Chef Daven Wardynski has a specialty for organic, sustainable fare that includes using honey from his own hive and vegetables grown on the hotel sundeck in his unique creations. The restaurant has two semi-private dining spaces for up to 40 guests, and a Restaurant Week prix fixe menu featuring a variety of food straight from Midwestern farms and fisheries. Vie Restaurant may be located in the suburbs (about 18 miles from the loop), but it has gotten major attention from the likes of the Chicago Tribune’s Phil Vettel and Chicago Magazine, even being named by Gayot.com as one of the top 40 restaurants in the United States. Chef Paul Virant’s creations have been called “magical,” and he has years of experience working in top Chicago restaurants Ambria, Charlie Trotter, Everest, and Blackbird under his belt. The restaurant has private dining options for up to 85 guests and a prix fixe Restaurant Week dinner menu that mixes seasonal fare with dessert options that will make your mouth water. Carlucci Rosemont has something that just about everyone can enjoy: hearty, authentic Italian cuisine reminiscent of a family kitchen and home cooking. A perennial Chicago Magazine critic’s choice winner and a favorite of Wine Spectacular, Carlucci’s several private dining areas can accommodate 10-300 guests and showcase exposed beam ceilings and European chandeliers. If you have visiting family members and friends staying near O’Hare, the location could not get much more convenient. Carlucci’s prix fixe Restaurant Week menus include salmon, steak, handmade pasta, and most importantly: tiramisu. Kendall College has widely been recognized in the media for being the best culinary institute in Chicago; impeccable online reviews call it an elegant, fine dining experience focused on sustainability and eco-friendly efforts. Chefs-in-training prepare seasonal fare for patrons under the helpful watch of experienced kitchen and service instructors, and all gratuities are used for scholarships and student supplies. 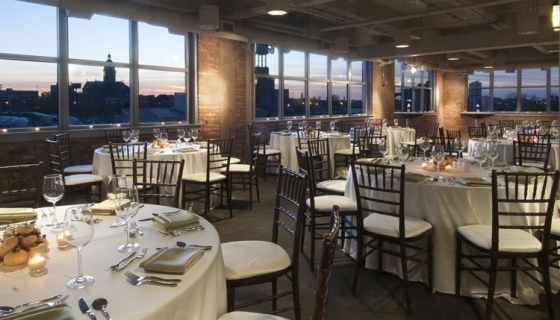 The Kendall College private event spaces display magnificent views of the city skyline and can accommodate 40-100 guests, which may be a unique option if you’re hoping to plan a chic event on a budget. The Restaurant Week option allows diners to choose from any of the college’s current menus, giving everyone more delicious bang for their buck. The Kendall College dining room set up for a luxurious wedding fit for foodies. Are you planning on visiting any local restaurants during Restaurant Week? Do you have any picks to add to our list?